&apos;Tis the season for sparkling light displays! 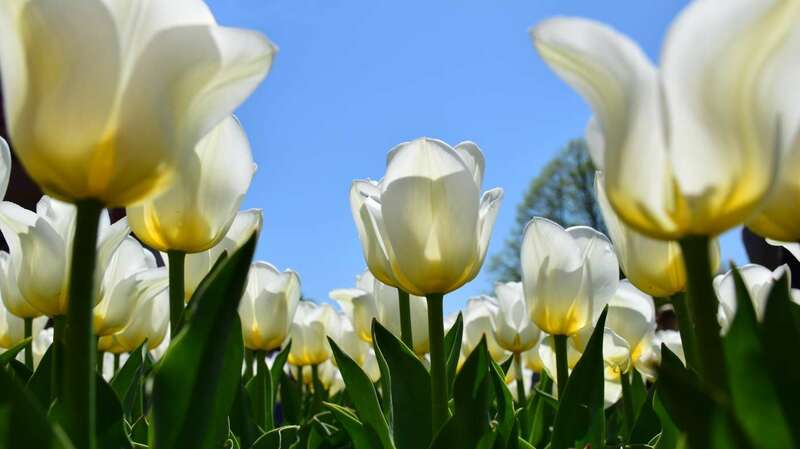 Albany County shines bright this time of year. From traditional tree lighting ceremonies, to festive tours by candlelight, to an urban park transformed into a wonderland, there are plenty of opportunities to view Albany&apos;s unforgettable holiday glow. Here are some of the best local light displays to brighten up your holiday season! 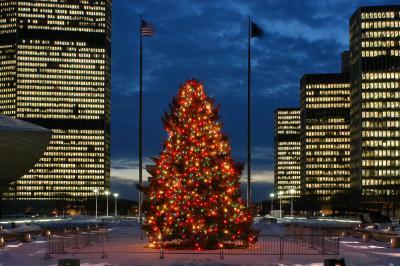 The lighting of the official New York State Holiday Tree is an unforgettable spectacle at the Empire State Plaza and is a complete day of festive fun. Get in the holly jolly spirit with the Taste NY Holiday Market at the New York State Museum and the Great Train Extravaganza on December 2. Once night falls, the Holiday Tree Lighting & Fireworks Festival happens at the Empire State Plaza. Following the countdown to the tree lighting, view a spectacular fireworks display that brightens the night sky. It is a quintessential day of holiday cheer in Albany! 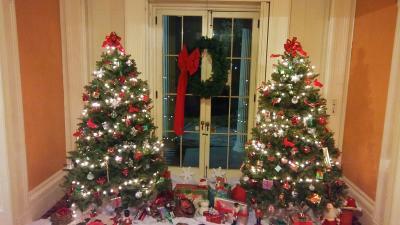 Ten Broeck Mansion is all decked out for the holidays throughout the month of December. On December 6 and 7, take a candlelit tour of the 18th century mansion to view the holiday splendor. With a candle to light your path, journey through time and learn about the history of the American Christmas. 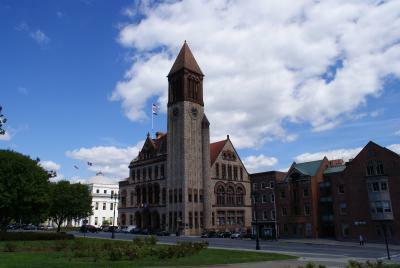 This candlelit tour is a unique way to delve into one of Albany&apos;s heritage sites and to gawk at the lavish holiday decorations. Capital Holiday Lights in the Park is a signature holiday event in Albany. 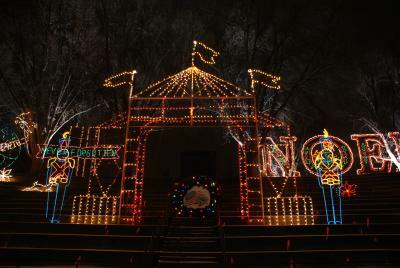 Drive through 125 awe-inspiring light displays in historic Washington Park to view brightly colored holiday scenes from nutcrackers to snowmen. For an extra hint of holiday sparkle, try to plan your visit after a snowfall to view the lights twinkling through the freshly fallen snow. If you prefer to see the dazzling displays by foot, plan your visit on one of the Charity Walk Nights. After your exploration through the park, head inside the Washington Park Lake House for snacks, crafts and more festivities. Through December 23, little ones can even whisper holiday wishes to Santa. The Capital Holiday Lights in the Park runs from November 23, 2018 - January 2, 2019. November 30 kicks-off the Fort Orange Holiday Market, as well as the The City of Albany Tree Lighting & Open House. The Albany City Tree is located across the street from City Hall in Academy Park. After a festive countdown and the flip of a switch, the inside of City Hall and the tree are lit up for the holiday season! There will be live music as well as refreshments available inside.